January 8, 2014 — Southern California University of Health Sciences (SCU) student Kaylee Shimomura is the 2013 recipient of the Dr. Robert Curry Scholarship. 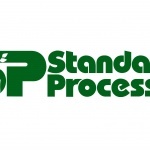 Standard Process Inc. offers the $10,000 scholarship to inspire students at the university to study whole food nutrition while pursuing a degree in integrative healthcare. Shimomura, an eighth trimester student at SCU studying chiropractic, is the third student to earn the scholarship. She plans to practice in her hometown of Kula, Hawaii, applying the fundamentals of good health, nutrition and chiropractic care learned at SCU to change her community’s view on diet, exercise, and overall health. 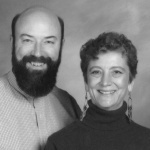 Whole food supplement manufacturer Standard Process committed to the SCU scholarship program in 2010 following the retirement of Southern California distributor, chiropractor Robert Curry, who was an SCU alumnus. Throughout his career, Curry supported and educated fellow Southern California healthcare professionals as they learned about the role whole food nutrition plays in a healthy lifestyle. This year, the scholarship was presented to Shimomura during the university’s Extravaganza VIP Reception.